This time around we have a lot of updates, so without further ado, let's get right into it! As promised in our last newsletter, we wanted to reflect on the work we did in 2017. We have made a huge effort to make sure that our platform can grow together with the increased interest in the e-conomic APIs. Also, we have continued our efforts to enrich the REST API, which is now getting more and more interest from our partners. If you haven't explored its capabilities yet, we encourage you to do so - it's a game-changer compared to our old SOAP API. On top of that, we have released lots of minor improvements, as well as features enabling entirely new workflows. Below you can find a snapshot of some of the functionality we added during 2017. Please feel free to explore the features and implement them in your own integrations if you wish. 2017 was also a great year for collaborations. We involved partners into the planning and testing processes to ensure that we provide our partners with the best possible value from the features we build. We also conducted a series of talks with our partners where we discussed issues that partners are currently struggling with in relation to the APIs, but also tried to understand their business workflows in a better way. We plan to continue our collaboration efforts with partners throughout 2018. 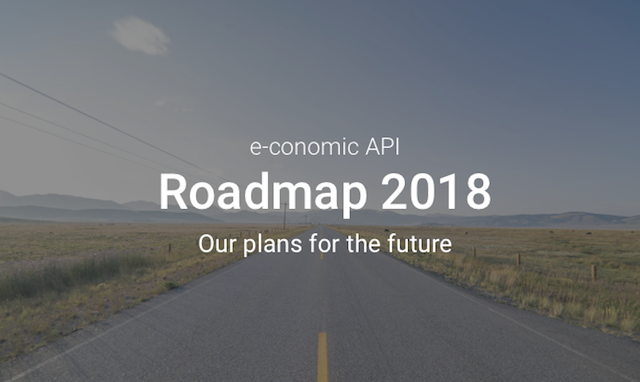 If you would like to be a part of it, please reach out to api@e-conomic.com and we will be more than happy to collaborate and share knowledge. Our public roadmap has now been updated. In the short term, ie. for the coming months, we will be focusing on delivering the /orders and /quotes endpoints. We have also decided to put some work into improving the overall developer experience. This involves making the onboarding experience easier for newcomers, but also to provide additional insights for existing partners on how their integrations are being used, as well as provide more self-service capabilities in terms of support - which should speed up the debugging processes. We will go into more detail on a number of items on the roadmap in one of the upcoming newsletters. 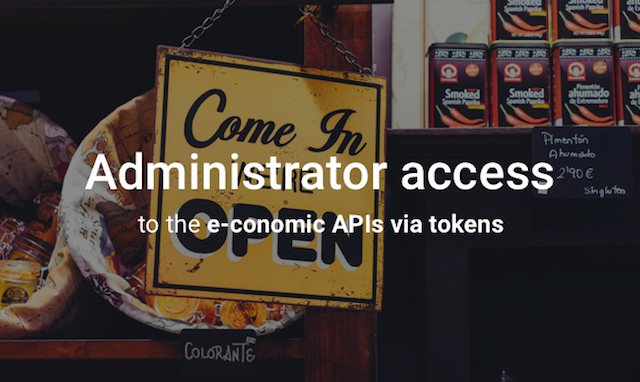 We are very happy to announce a path forward for e-conomic administrator agreements to use the REST API and token authentication. 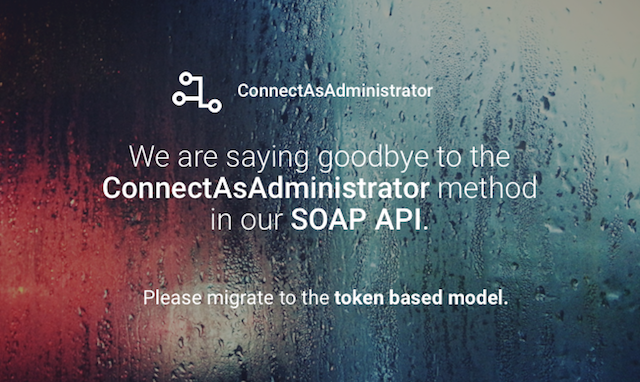 Previously, administrators couldn't generate the tokens required to interact with the REST API and in consequence were only able to use the SOAP API. This change opens the door for administrators to take advantage of REST and the ease of implementation related to this API, along with the ability to tap into the full range of solutions available from our partners. The onboarding process is very similar to the already existing model, which makes it easy to adapt existing integrations to serve administrator needs. If you would like to read more about administrator access to the REST API, see our TechTalk blog post on the topic. Late last year we started the process of closing down our old Connect authentication method. The process involved over 600 partners whose integrations had to be adjusted to use the ConnectWithToken method instead. At the beginning of this year, we had managed to migrate most of the partners, which allowed use to close the Connect method according to the plan. We would like to say a big thank you to all the partners that adopted the changes! Without your involvement, this process would not have been possible. Next in line are the ConnectAsAdministrator and ConnectAsAdministratorWithCustomerNumber methods, which are very similar to the Connect method but are primarily used by accounting offices. The path for this deprecation is similar to the one for the Connect method - to migrate consumers to the more modern ConnectWithToken method. Both of the methods mentioned above fail to meet the requirements that we have in the current state of the e-conomic ecosystem. They don't live up to all the recent security standards and they don't provide the required transparency for the consumers on who and when apps access their accounting agreement. If your integration uses these methods, please apply the requested changes as soon as possible. In order to ease and speed up the process, we have created an article that should guide you through the process . In case you have any doubts on how to proceed with the migration, please get in touch with our support team.